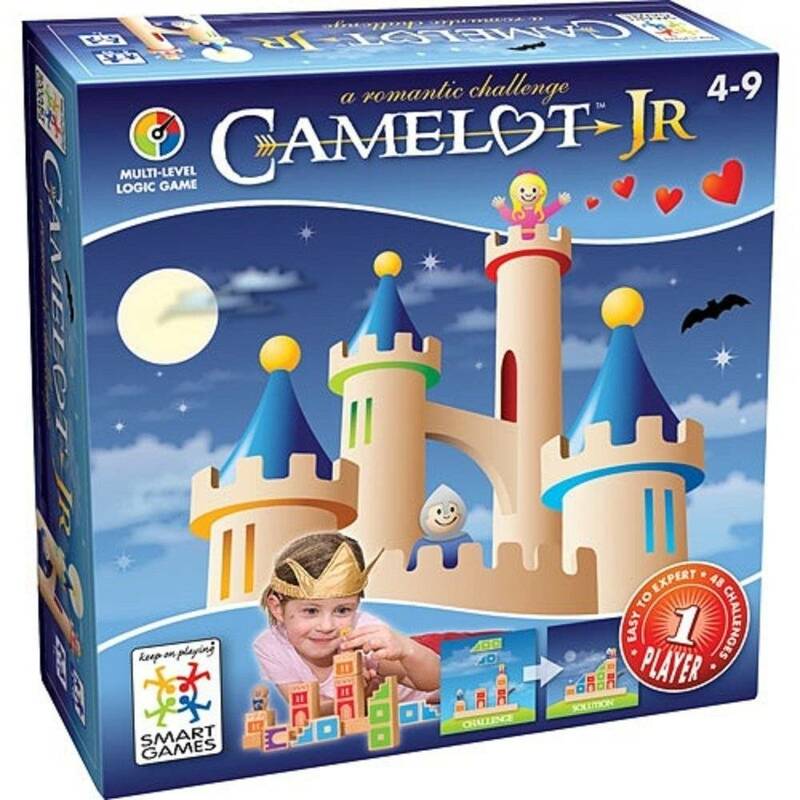 Home » smart game camelot jr.
Smart Games smart game camelot jr.
Camelot Jr. gives children and adults hours of brain-challenging fun!. 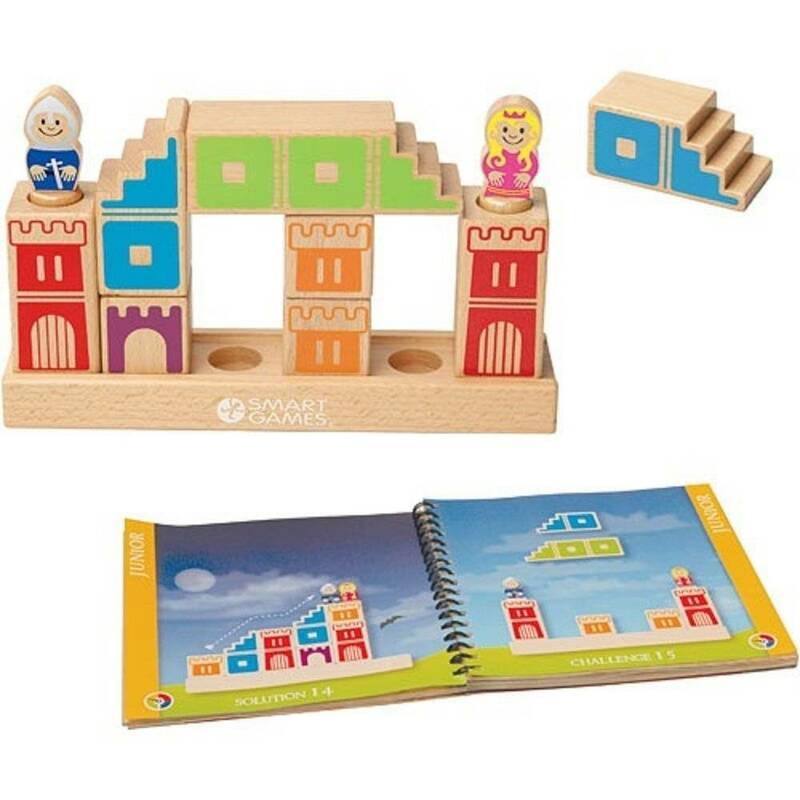 Create a path for the knight and his princess to be reunited, using these beautiful hardwood towers and stairs. 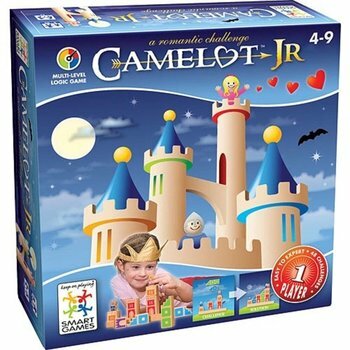 The knight and princess can only walk up stairways or along the top of walls. 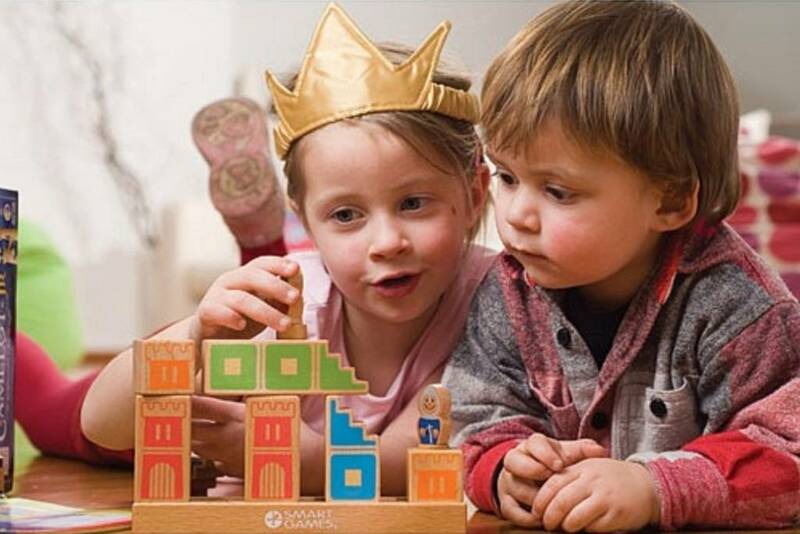 They cannot jump down or climb up walls. 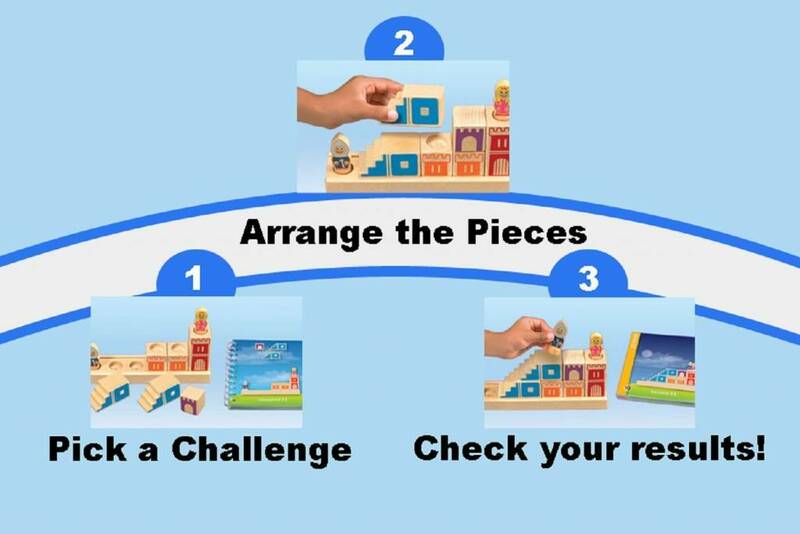 Choose a challenge to build from the puzzle booklet. 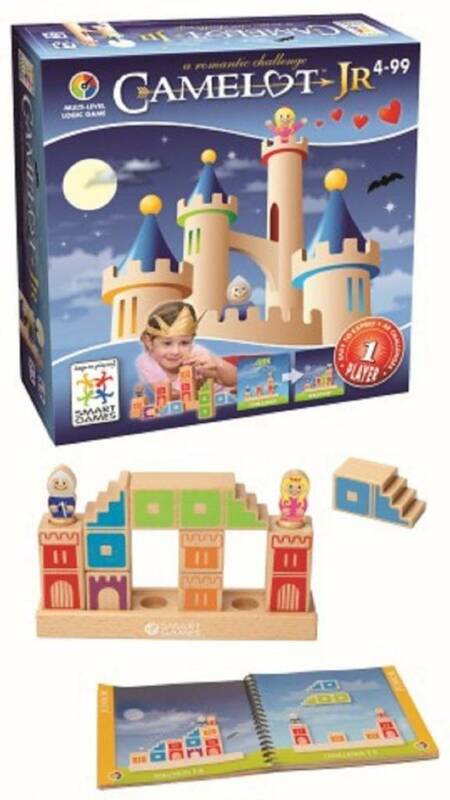 Place the red and orange towers and the knightand princess in position as shown. 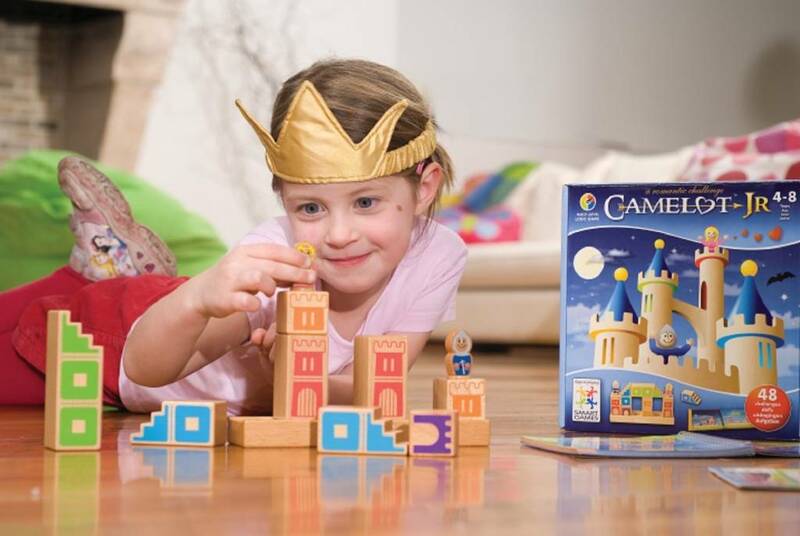 Turn the page to check your answer.